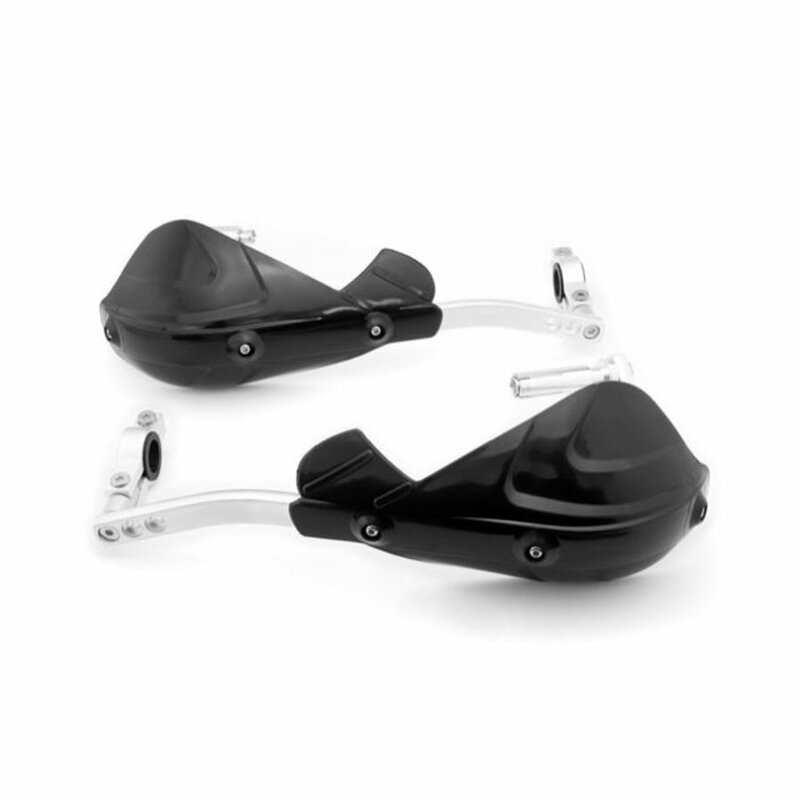 These universal alloy handguards are made from durable plastic moulded around a solid aluminium bar. They are solid enough to take in a good few blows from rocks and debris, whilst keeping your hand safer and well-hidden. N.B. These handguards are universal fitment & will fit most motocross / enduro motorbikes. However, before buying them, please make sure that your motorbike has hollow handlebars to allow its fittings to be inserted and also, make sure that you do not have tapered handlebars. If you have a faired motorbike, please make sure that you measure up accurately before buying these, as they may touch the fairing at/near full steering lock.